Enter one of Key West’s oldest gardens located in historic Old Town Key West. 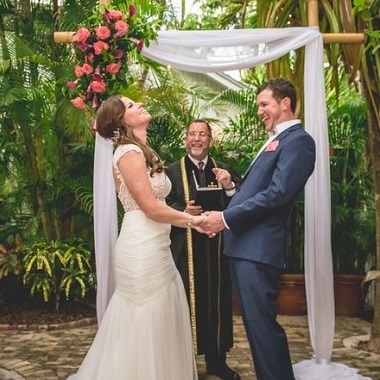 Old Town Manor’s lush tropical garden creates a private experience you and your guests will never forget. 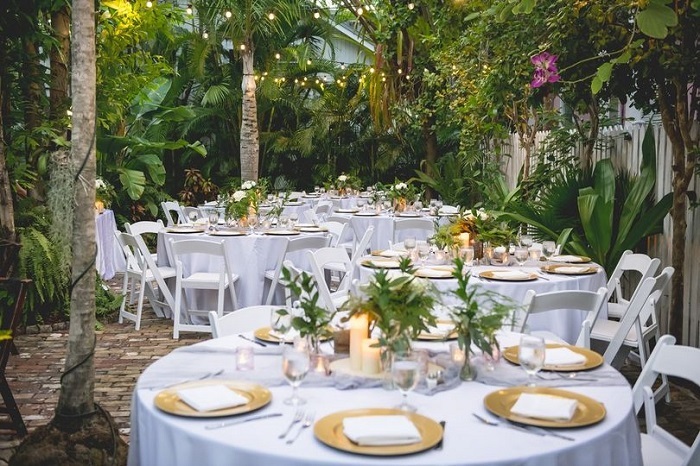 Located in the heart of Old Town, our Key West wedding venue can accommodate up to 75 people for a rehearsal dinner, ceremony and/or reception. 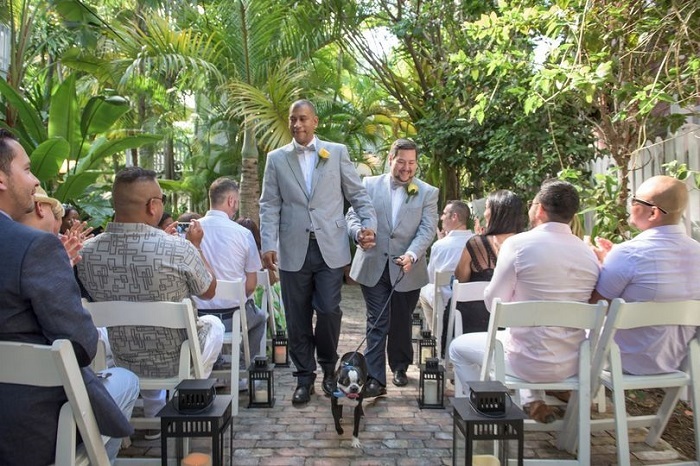 We proudly support and offer our services to LGBTQ weddings. 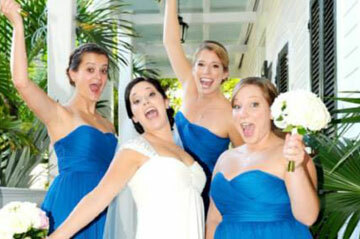 View our wedding packages and begin planning your destination wedding in Key West today. 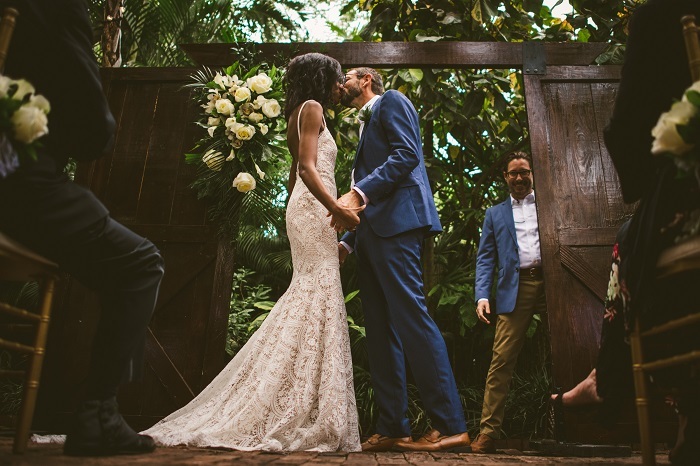 Your guests will enjoy the celebration in our tropical gardens followed by a restful night’s sleep in our restored Victorian mansion’s 14 rooms. Each morning you will wake up to a mostly organic breakfast. You can accommodate additional guests at our sister properties, Rose Lane Villas, and William Skelton House. 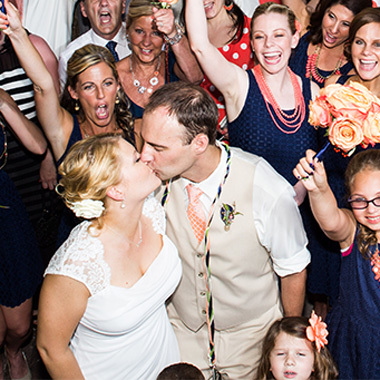 You and your wedding planner can design your dream wedding, commitment ceremony, elopement, or vow renewal without the restrictions of resorts. 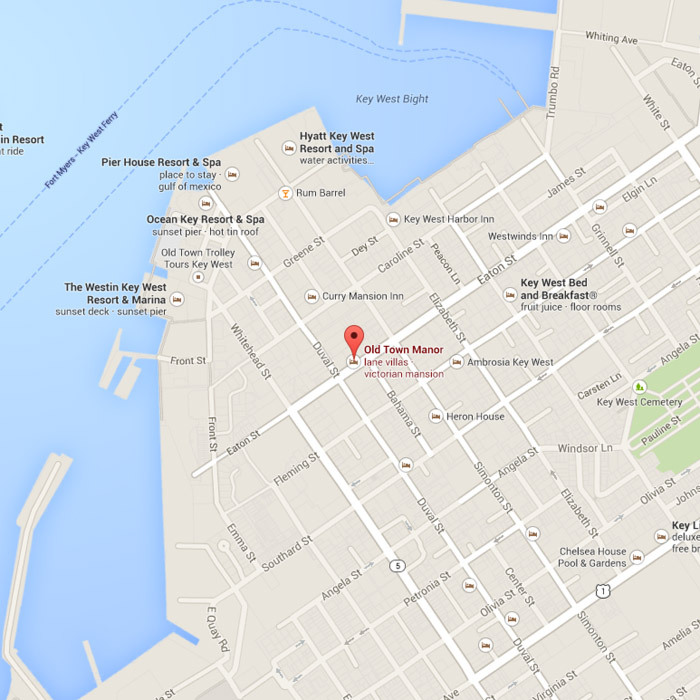 Our location, quality of service, and value are unmatched, making us the perfect venue for Key West weddings. We are only as good as our couples say we are!